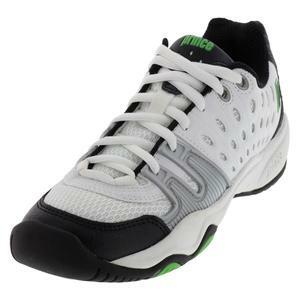 The Prince T-22 Jr. tennis shoes take all the best qualities from the classic T-22, making them a great choice for up-and-coming junior players. Upper: Microfiber synthetics and air meshes make things breathable, while Duraskin II technology prevents abrasion due to toe drag. Sockliner: Includes a removable die-cut EVA. Midsole: Incorporates compression die-cut EVA. You'll also enjoy 4Foot Wrap techology, which provides added medial/lateral forefoot support. Outsole: Infinity dual-density, high-abrasion rubber makes this a sturdy, stable shoe with impressive durability. My 9 year old is probably on his 4th pair of this style in the last few years. He loves them, and they wear very well. He wears them to school every day and for about 3-5 hours of tennis a week. Love when they update the colors, green/ black and energy blue are super cute. 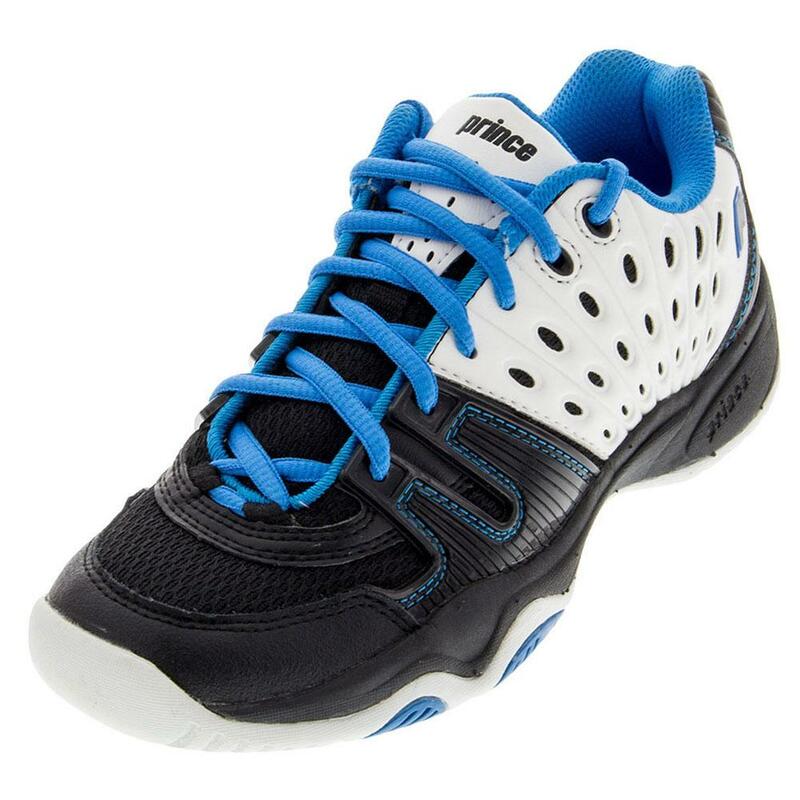 I purchased these shoes for my 7 year old who has recently started to play tennis. I was looking for a shoe not over $50 and these are the ones he liked best. He is a rough boy and rough on his shoes as well and these have held up remarkably. They are sturdy shoes yet easy to run and move around in.The laces are long enough for him to tie his shoes without any issues. I am satisfied with our purchase. GREAT FIT and COMFORT !! Love the new color combo for a GIRL !! Wish we had more variety ! Tennis Express....... ROCKS !!!! Ive been playing tennis for over 20 years now and have tried so many brand name shoes. prince T22 is the best. Its comfortable and durable! My son and I both wear T22s. We both ordered and tried at least 5 of the best reviewed shoes and the T22s are by far the most comfortable. My sons first pair wore out and he wanted something different this time. Again, ordered 5 pairs of shoes, only to end up in the T22s for the second time. They are slightly heavier than some, but have a nice wide toe box and good support across the arch. I have bunions thus a wide front of the foot, and a narrow heal and they still feel great. I also have flat feet too. Our tennis pro wears these too. I do wish they made more fun colors for the kids, but comfort trumps everything. I highly recommend this shoe.